Discussion in 'Jacksonville Area Mini Motorists' started by Thumper460, Oct 18, 2018. Hey DUVAL and OP .. I am going to try and get Tony G to tune our MINIs' . ( HP Performance ) I have known him since his high school days and now he is one of the most sought after tuners in the US and the Eu. NOT MINIs yet !! Is there a need ?? Of course if he can do this the rest of Fl Ga can get in on it !! Give me some input. also where are the other tuners here in Fl ?? Mid and So Fl I suspect ?? Well speak up !! I think @Tigger2011 is located in FL. Not sure exactly where. This would be good to know. Most are down in central Fl or south Fl... we are just under Ga in the NE part !! His profile has this link.. which I think is his side business (or one that he is apart of... can't remember). On the contact section on the site looks like its: Sunrise, FL... so you are correct. S. Florida. In my early days tuning was more about finding an AM station on the car radio than it is today. No fancy ECU, very few fuel injection cars and good old metal dash boards. It was Holly not Rochester, Play Doh to measure your piston clearance and let's not forget an Edelbrock intake manifold. In 1967 the school I went to bought a Wang, not a hairy one. This thing had a red lighted display and a typewriter sized key board. The gut, or brain, was in this large suitcase size case that sat under the desk. It was a calculator and the brain it had would be about the size of a pencil eraser in today's world. No, there were no ECUs to tune back then. Sully, the owner, is talking about having more "tuning" stuff here, and that is going to do be great! So hopefully we can pull up a stool, fire up the Wang and peruse some neat stuff from folks like Thumper and others. Early days of fuel injection........I had an Alfa spider with mechanical FI the first thing I did was rip it off and added duel Webers! All I needed as a tuner was a some fuel line and my ear........tune by sound. I bought a brand new 1973 Harvest Gold MGB for $3,500. That car started my life-long love affair of small well handling cars. That car would be a blast on the TOTD. Of course back then Thumper was into Detroit Muscle. How did you end up with a "cute little MINI," God I hate hearing that, Thumper? LOL we had a TR3 in the late 60's and the wife was pregnant with our first child. We decided we needed a bigger car !! 1967 Fastback was the answer... Know what ?? It is still here and driven. The MINI ??DoNo. was actually wanting the Mini, but this was a great car and we bought the first in 02.. then 04.. then the final 06 !! Diane says 'no more' so that is where we are today. Hey guys. We are located in SF and have remote tune capability on the N14 R56 and F56. N18’s still require a bench flash but the others can be done with our Stage X handheld device. You can have up to six different tuning files on it and switch them when you want. It’s based on the Powergate 3+ with color LCD, touch screen and the ability to read and clear error codes. 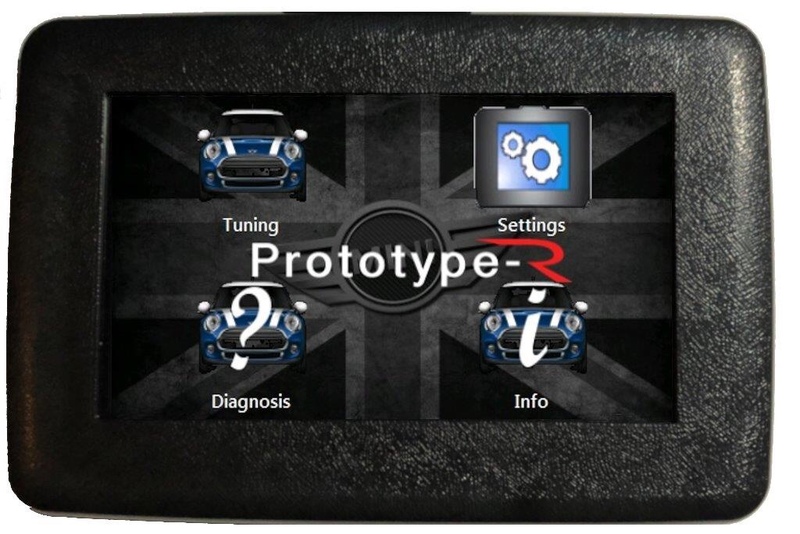 We currently offer Stage 1, 2, 3 and Stage X tuning levels. Just got a hit from a customer that says the "shark' tuner has been up graded and does Inj and timing.. He has one coming to him and he will give me his impression in a few..
Looks like most costs are $349.00 !! Gaines look good as far as smooth accel response more actual power to the wheels. even though a small amount. ( some say 10 HP others say MORE than 10 HP ) If you live in a part of the US where the tuners never come and dont want to spend/ship your ecu out... this could be the ticket for you. I will be looking more into to this in the future! Anybody have actual knowledge of this ..... ? N18’s still require a bench flash but the others can be done with our Stage X handheld device. Interesting - not familiar with the Powergate module. I assume the N18 once flashed will have the different stages? shark' tuner has been up graded and does Inj and timing.. He has one coming to him and he will give me his impression in a few..
Common tuner for BMW's. I personally never used it but there were a lot of folks who did with good success. Let us know what he thinks after installing it. When I had BMW's I wondered if these worked but I have always been skeptical. Unfortunately, nobody outside of Manic has enabled the N18 via OBD. I keep pushing the tool manufacturers but were a pretty small market. It is possible to bypass the rsa keys via bench flash but so far no luck getting a tool to recognize the ecu and write yet. I’m currently reverse engineering with an eye towards map switching via canbus signals from the cruise controls. Might have a tuner here in Jax. he is looking over my maps and...... we'll see !